Independent Rack Safety InspectionsSESS are the Market Leaders in Independent Rack Safety Inspections covering the UK, Ireland, Europe, Caribbean and America. 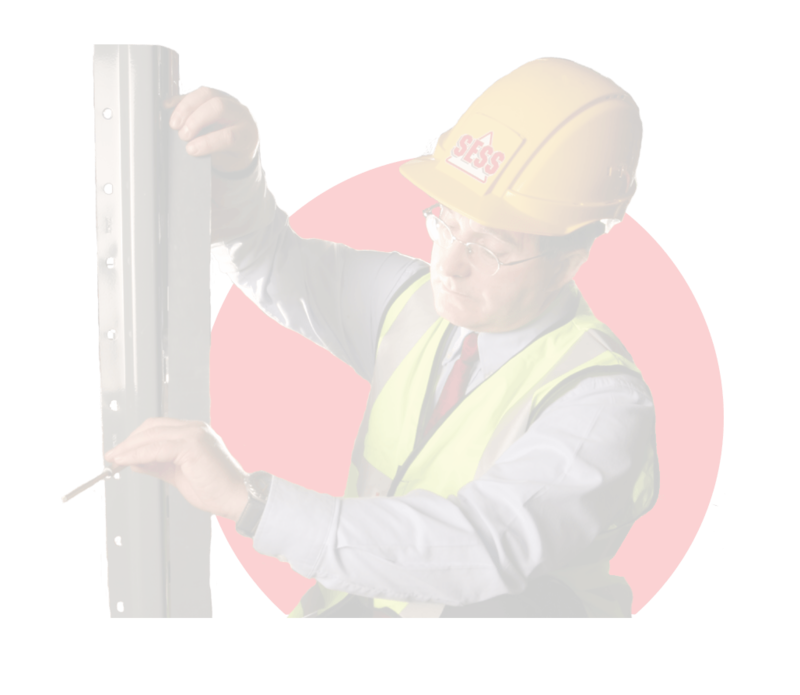 All SESS Rack Safety Inspectors are SEMA Approved Racking Inspectors (SARI). SESS HAVE NO CONNECTION TO ANY MANUFACTURER OR SUPPLIER & DO NOT MAKE, SELL OR REPAIR RACKING ensuring our findings remain totally unbiased. SESS produces a comprehensive report that clearly identifies every damaged component and its level of risk using the SEMA green, amber and red risk classification system. SESS will offer ongoing technical support to all clients. We inspect all types and makes of racking and shelving including bespoke systems, mezzanine floors etc in all storage environments. All the necessary data is collated during the inspection and we have the expertise to calculate the safe working loads and provide the necessary notices to any type of storage system. Our comprehensive technical library covers the design data for all manufacturer’s racking. If your racking is damaged or where there is a risk of your racking being damaged. An assessment of the safe working condition of your warehouse. This assessment would look at housekeeping, pallets, floor condition, lighting, fork lift truck operations etc. CAD layout drawings of your racking installation, where possible your site’s racking location system would be used. For a No-Obligation Quote click here.